See the products that can dramatically improve people’s first impressions of your library. For more insights, read the 6 Tips to Improve the User Experience in Your Library blog post. 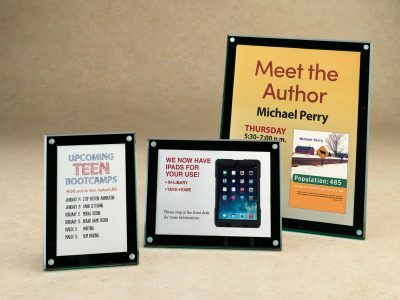 Easy-to-use sign holders with a classy design. Quickly change out messages whenever you want. Acrylic, slip-in sign holders allow you to post instant messages anywhere. Mount to walls with double-sided tape, included. 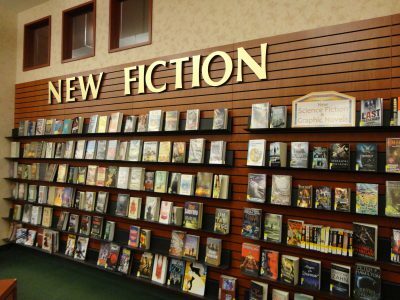 Your mission: Help patrons find what they're looking for (and maybe a few surprises along the way). 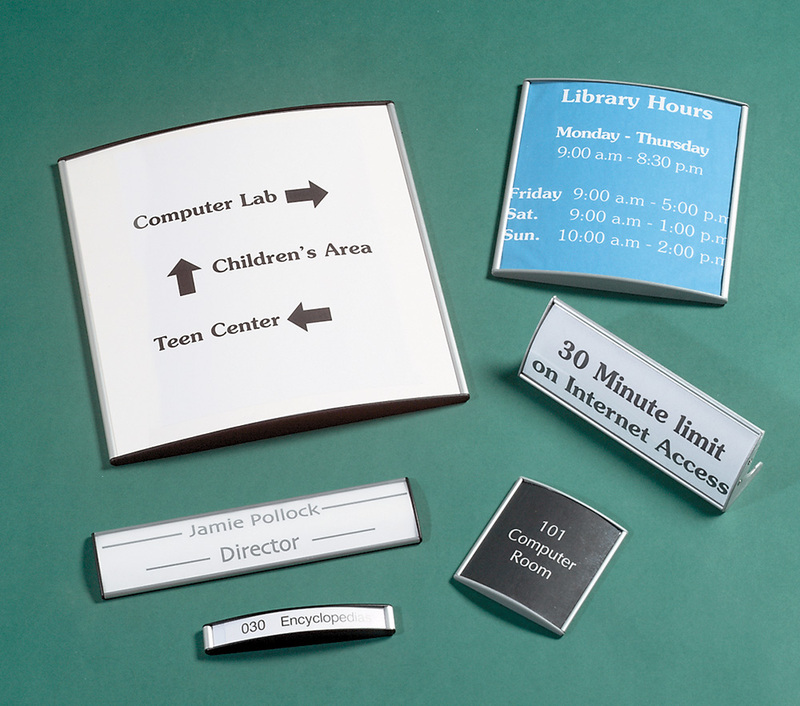 Use these scratch-resistant lexan acrylic signs to announce room events, library hours and more. Hold standard size paper. This inexpensive yet polished sign option turns just about anything into a billboard. Mounts to any surface with 2 sets of Command interlocking fasteners, which hold strong, but come off cleanly. Turn heads and make a first impression with posters and art displayed up high. Orient patrons to your space from the moment they walk in the door with well-placed signs. 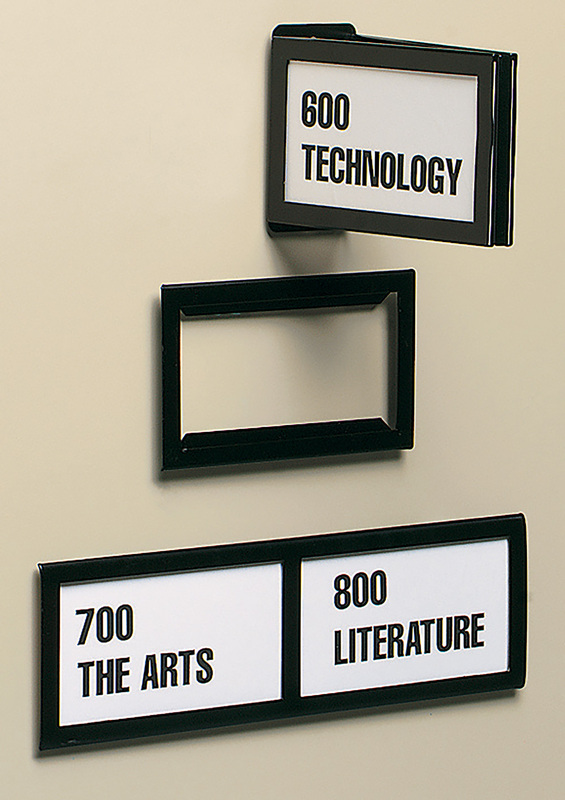 Scratch-resistant vinyl signs have a modern font and letters, starting at 3"H for easy readability. Give messages dimentionality and standout power. 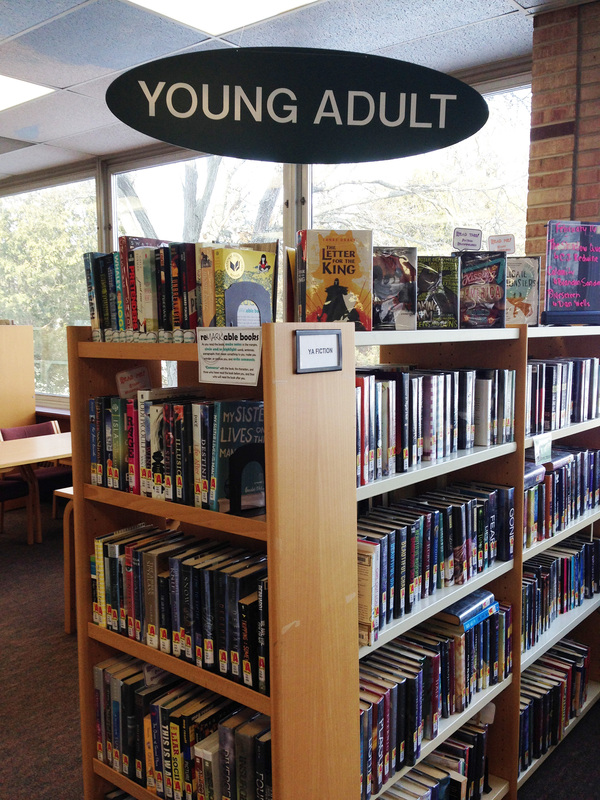 Remember to use words that resonate with everyday library users. 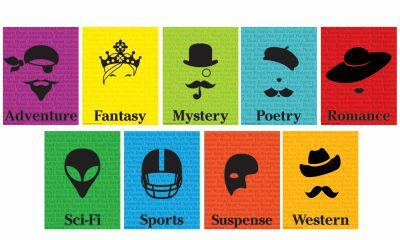 Make it easy for customers to find books in their favorite genre. 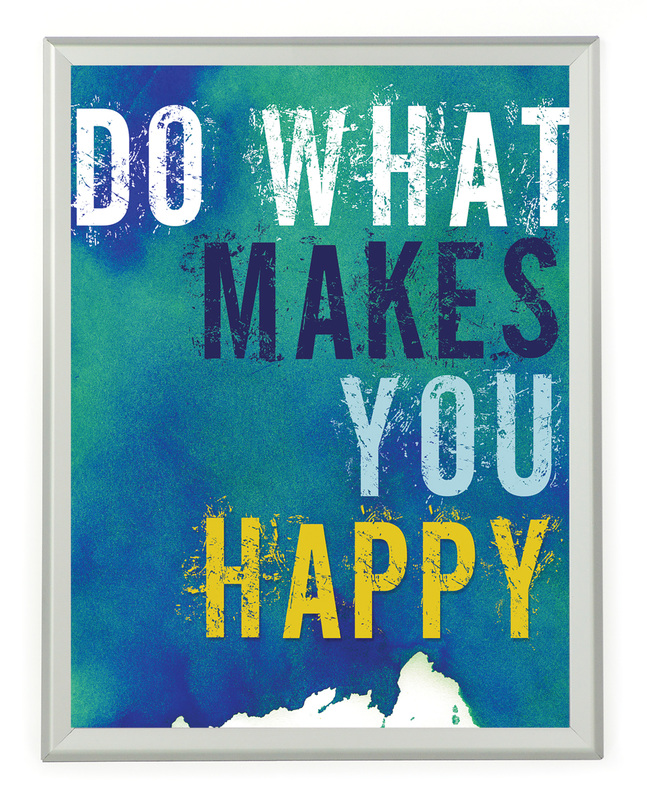 A simple way to get your message out there! 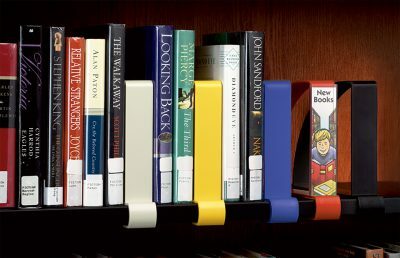 Add a special review or endorsement and take it to the stacks. 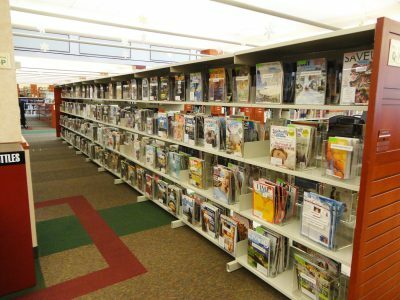 Help patrons easily discover what you have on the shelves. 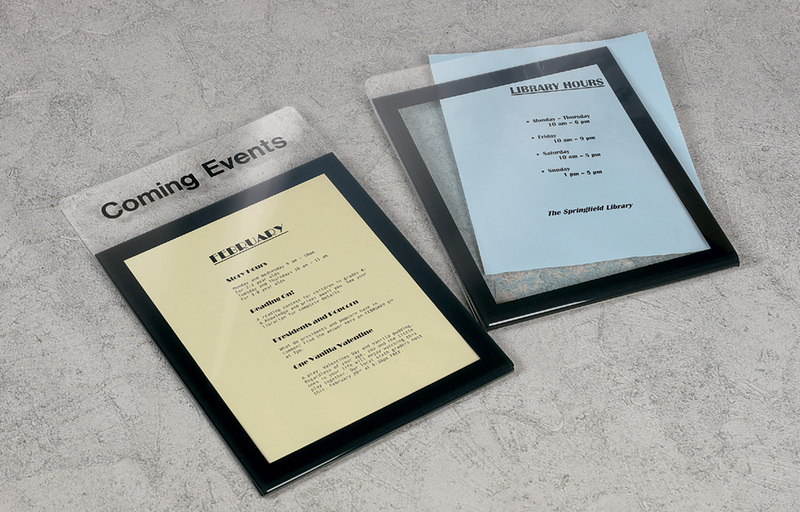 Clean, professional look comes across as intentional rather than an afterthought. 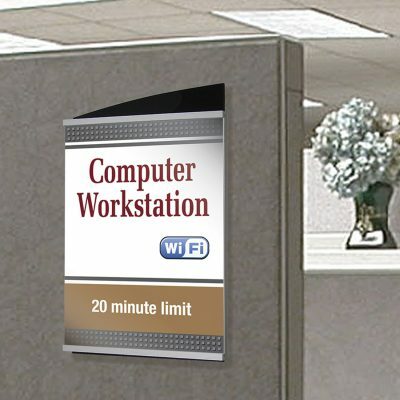 Modular mounting system makes signs adaptable for tabletops, walls or cubicles. 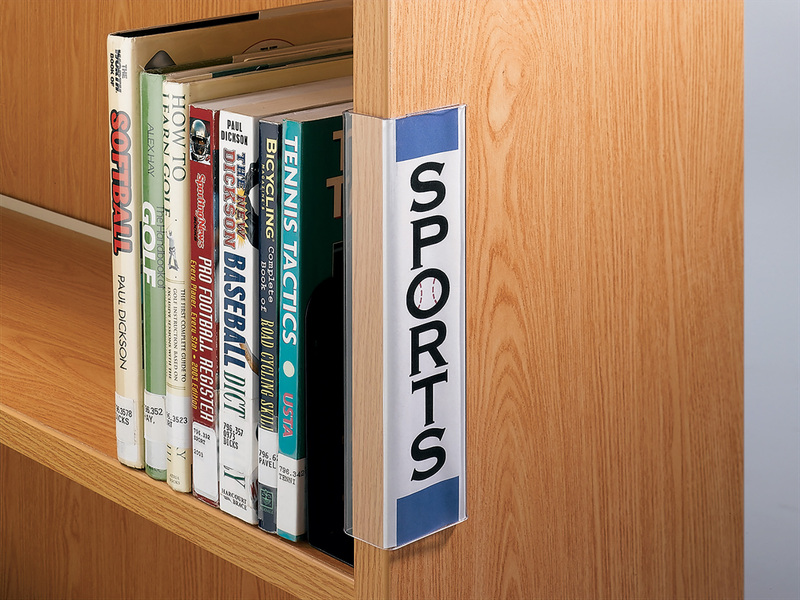 Use your own paper inserts to create custom signage — just print, trim and insert. 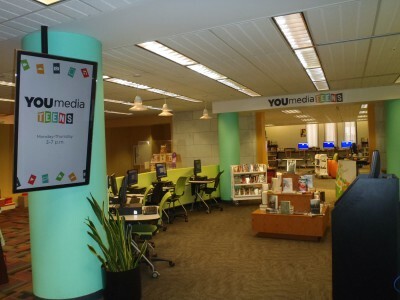 Digital signage in a highly visible spot brings attention to this library's Teen YOUmedia space. 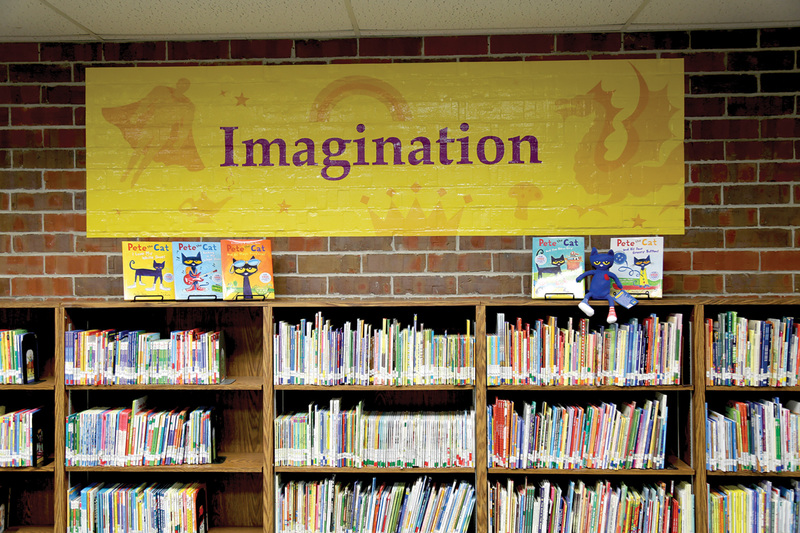 Brand identity is established through color, font and logo repetition in the signage. 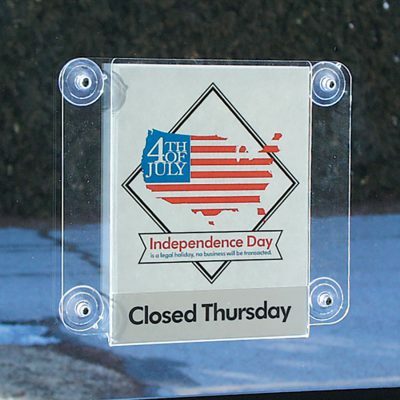 Better option than taped signs. 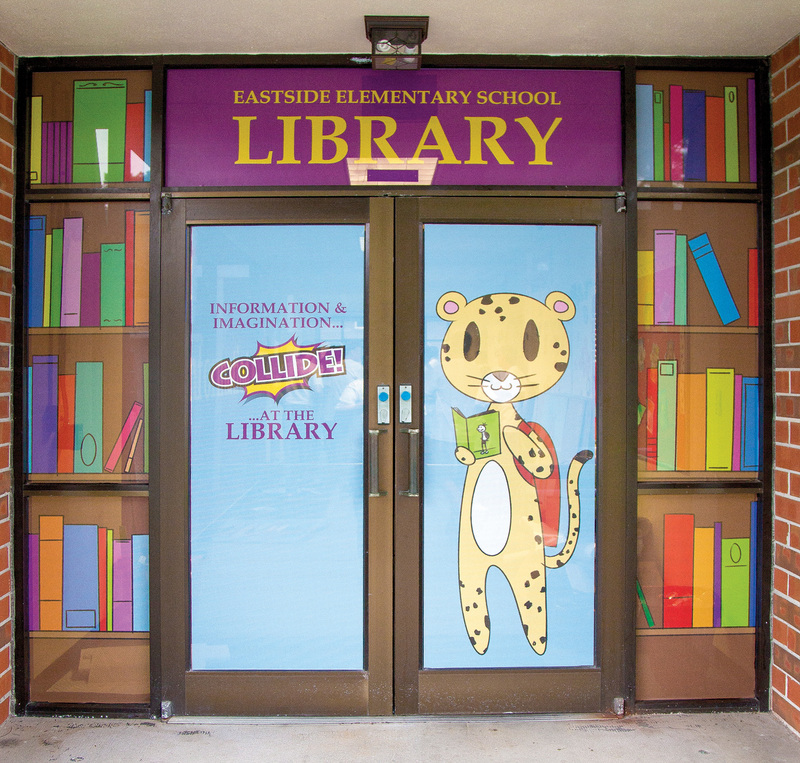 Entice passerby and visitors and create a positive experience inside and out. Display business hours, advertise an upcoming event or play up programs and services. 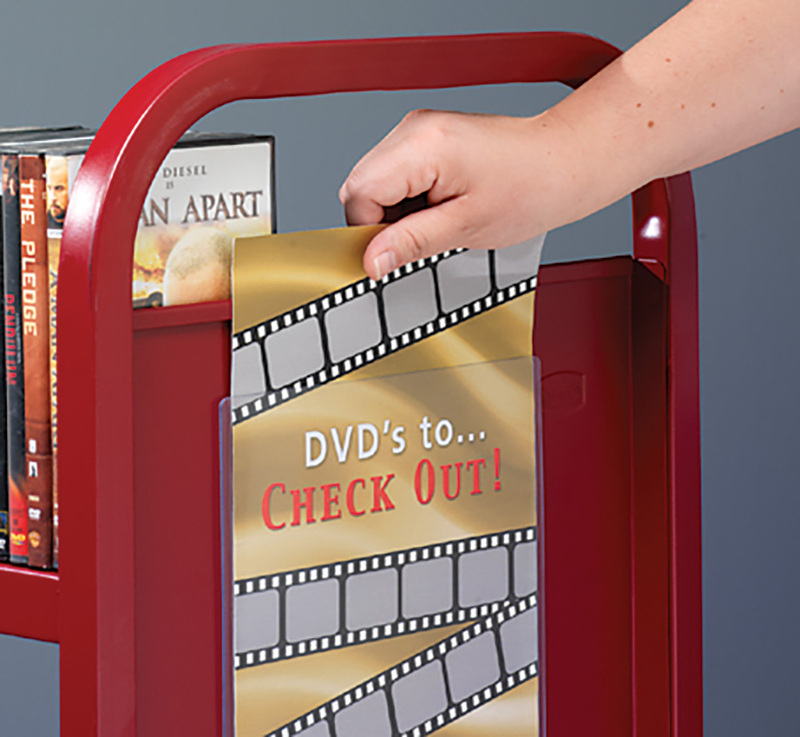 Easily swap out back-to-back inserts to keep offering reasons for people to come back. 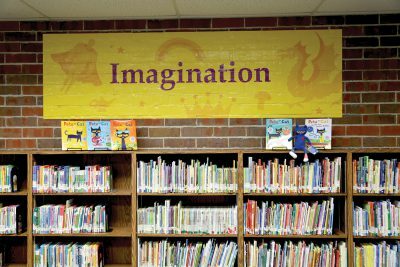 An appealing atmosphere goes hand-in-hand with people wanting to spend time at the library. Consider adding these Demco originals to set the right tone. A mobile information desk that goes where you need it and is an obvious point to seek assistance? 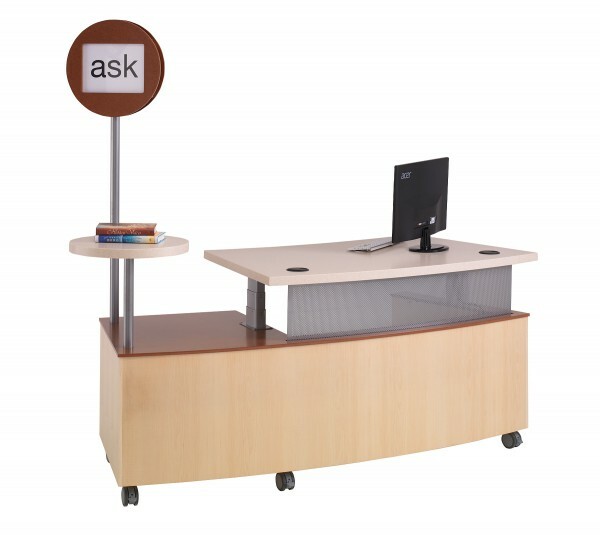 Desk can be customized to meet size preferences and library needs. Who says you need a ladder to hang a sign up high? 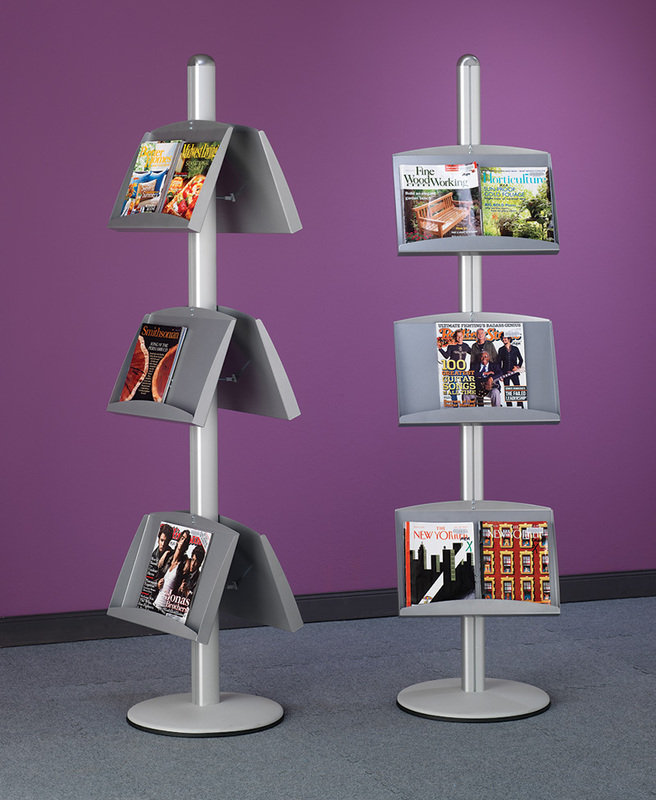 With this collection, your feet stay on the ground and you can easily suspend signs, banners or posters from the ceiling. 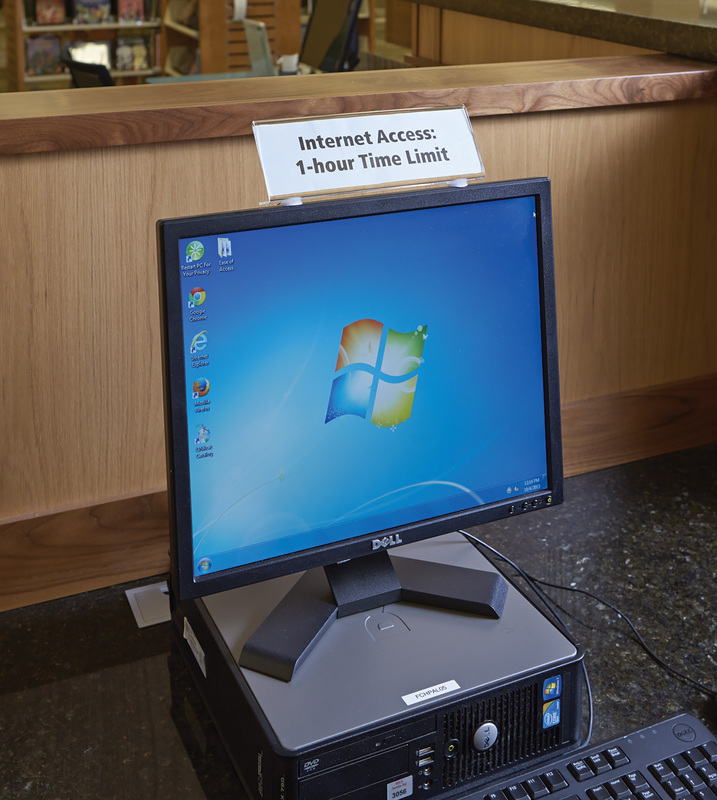 With many patrons picking up holds or looking up materials, take advantage of an unexpected opportunity to communicate with patrons. Add messages or art in unexpected places — on glass doors, walls or windows. See-through graphics also create a privacy screen. 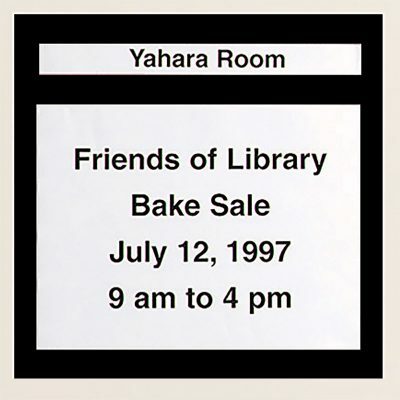 An engaging graphic can be consistently used, with a change in color and text to signal different areas in the library. 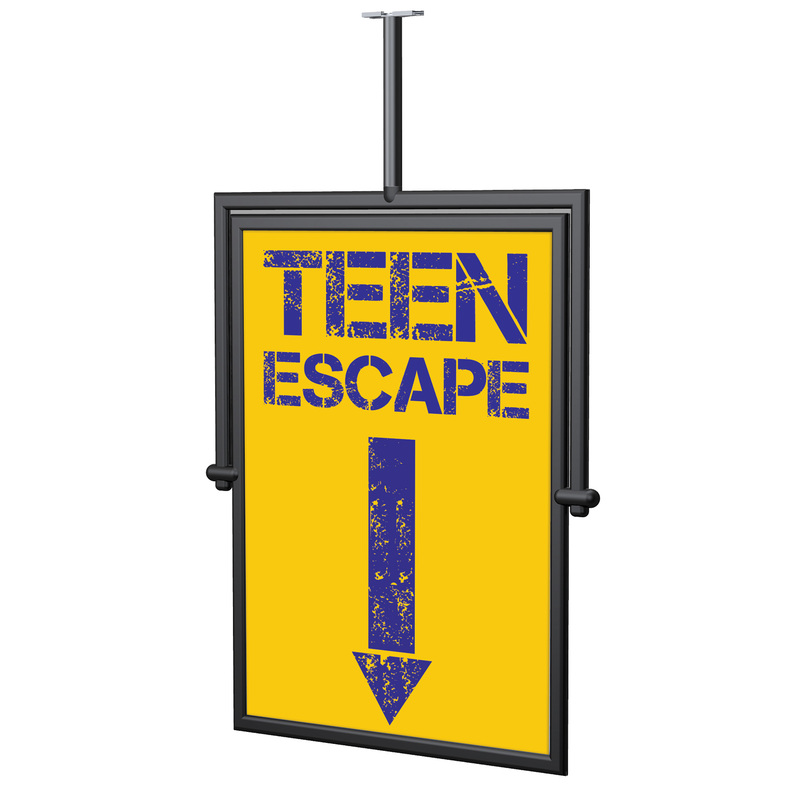 Available in various sizes to use as signage or end panels. Take a moment to add a little extra finesse to your signage. 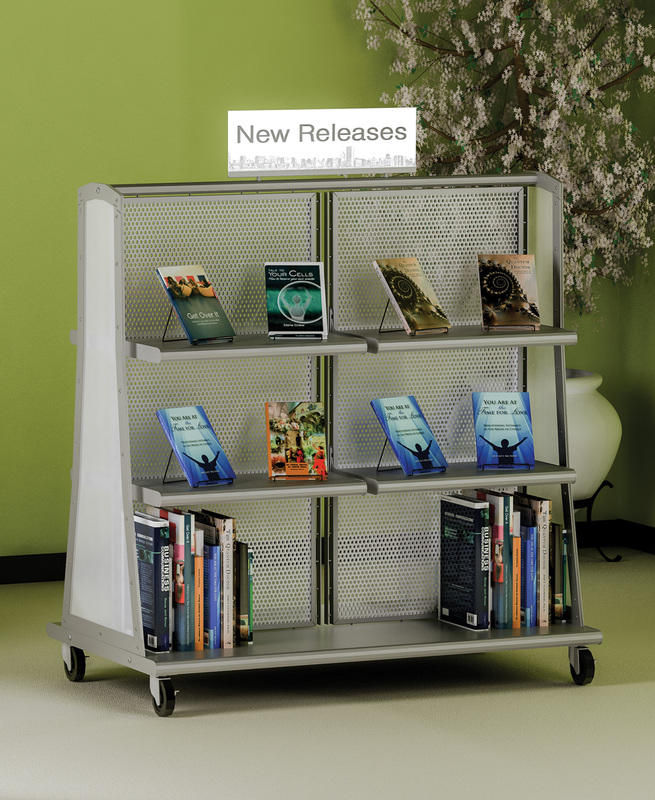 Add throughout your library for a coordinated and coohesive look. Call out specific sections or collections in an appealing fashion. 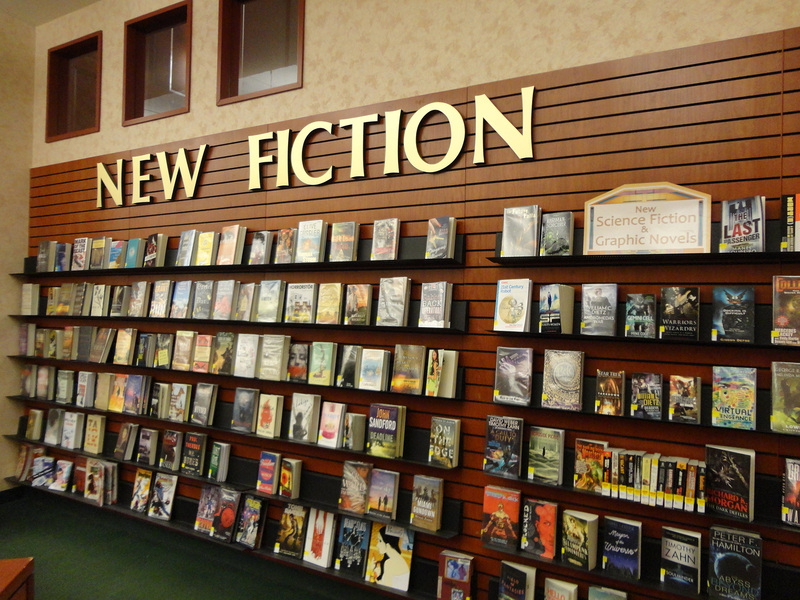 If patrons are walking by displays or shelves, what will give them pause to take a closer look? 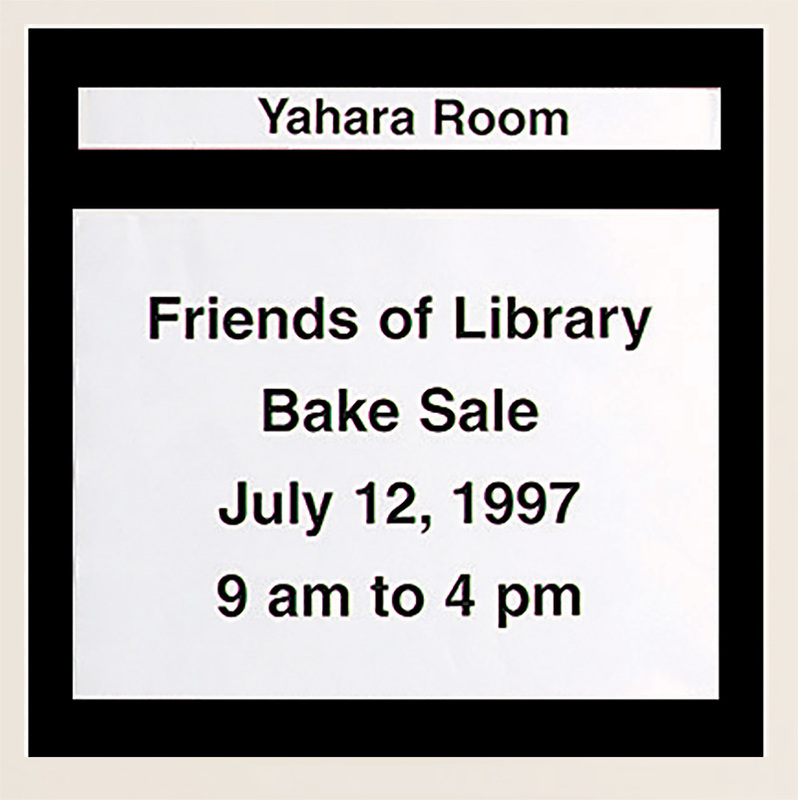 Section markers help users make sense of what they're seeing and better navigate your collection. They may even help people check out materials they otherwise would have missed! Appearance matters! 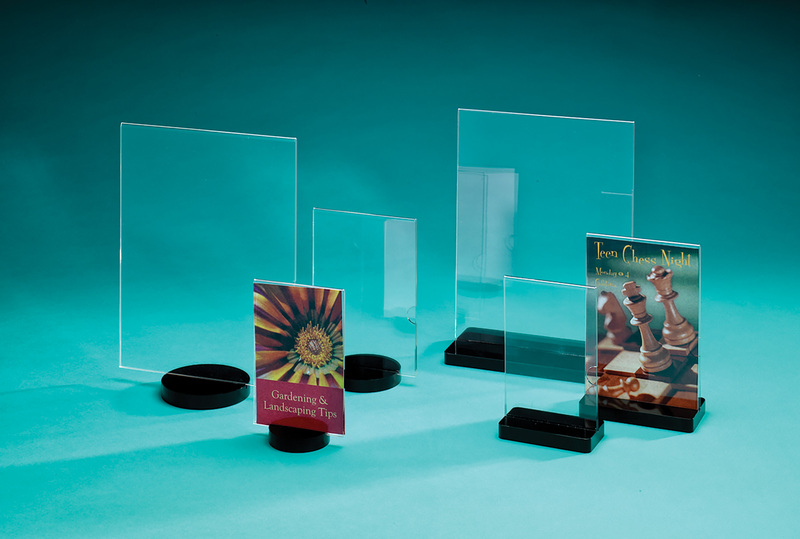 Clear acrylic sign holders have green-tinted edges to give the illusion of high-end glass. Black back panels provide a dramatic border for your messages. A simple solution to help cross-promote library services, feature reviews, or similar titles of interest. 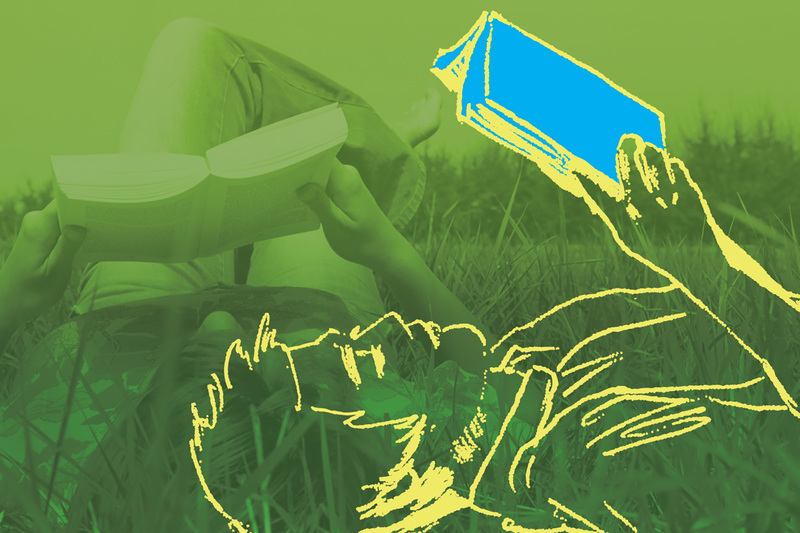 Want to up your library's community engagement? Consider hosting a poster making event. 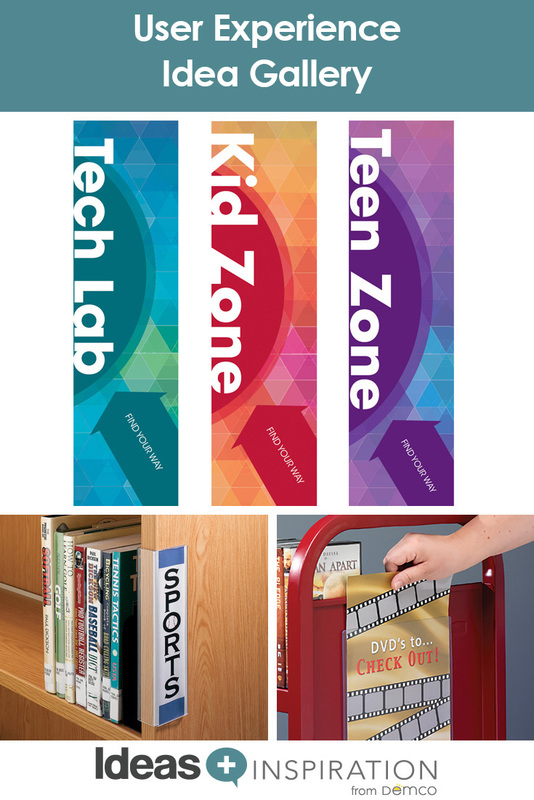 Either way, you can display and change out posters rapidly with hinged, flip open, snap shut sides. 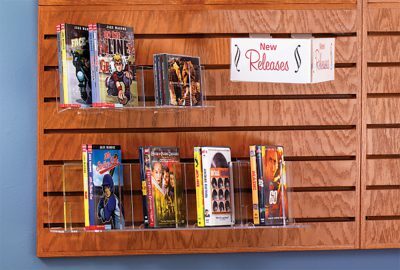 Adopt this contemporary way to show off new releases or staff picks. 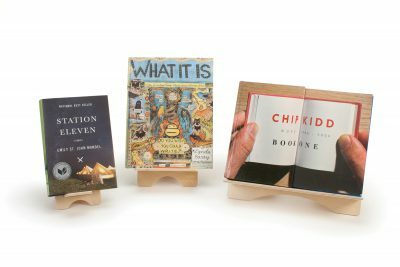 Steal a note from retailers' playbook and create a standout display that gives curated materials some love and attention. 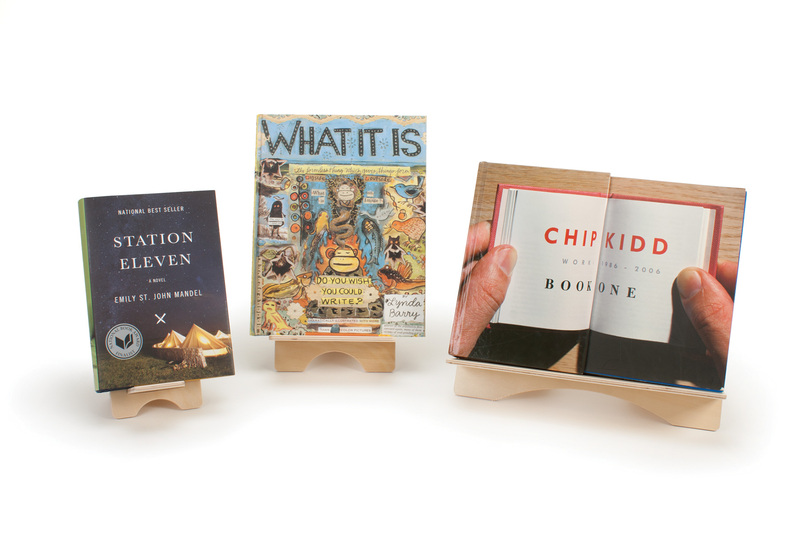 Your shelves can talk! Extend your real estate by using slatewalls to display new books, promote programs or excite customers. The options are limitless. A simple way to organize your collection or easy browsing and increased visibility, not to mention keep it tidy. 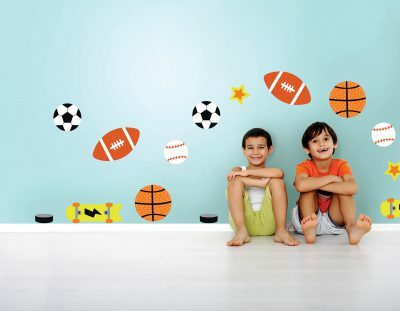 Add some zing to your space with peel-and-stick decals. 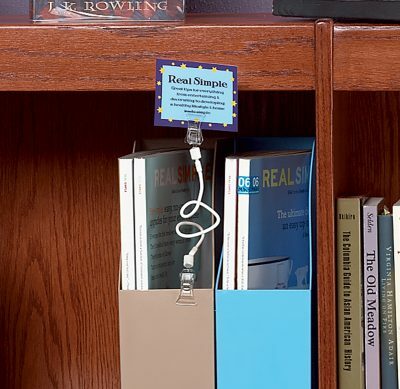 Small details can update a space and make it feel more interesting. 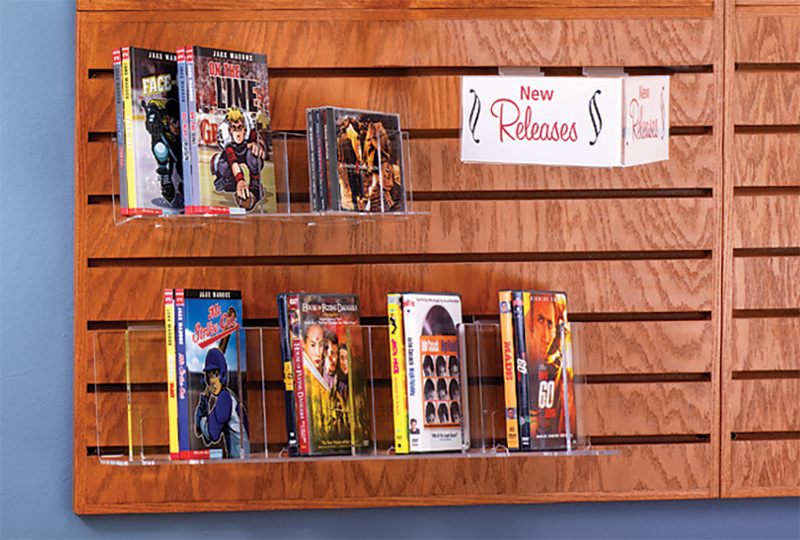 Mobile feature displays are a great way to highlight new additions to your collection. 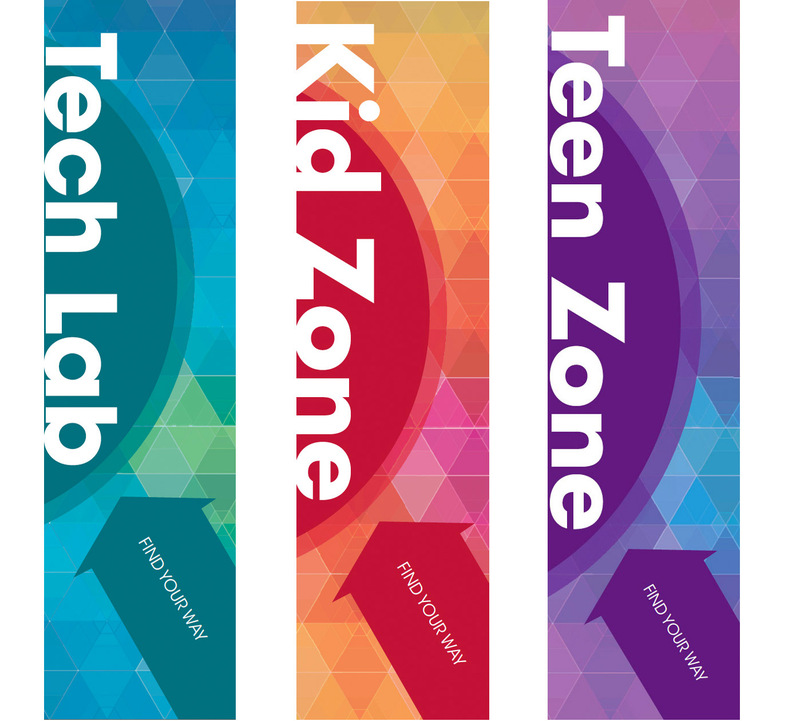 Use the featured image of the following link. 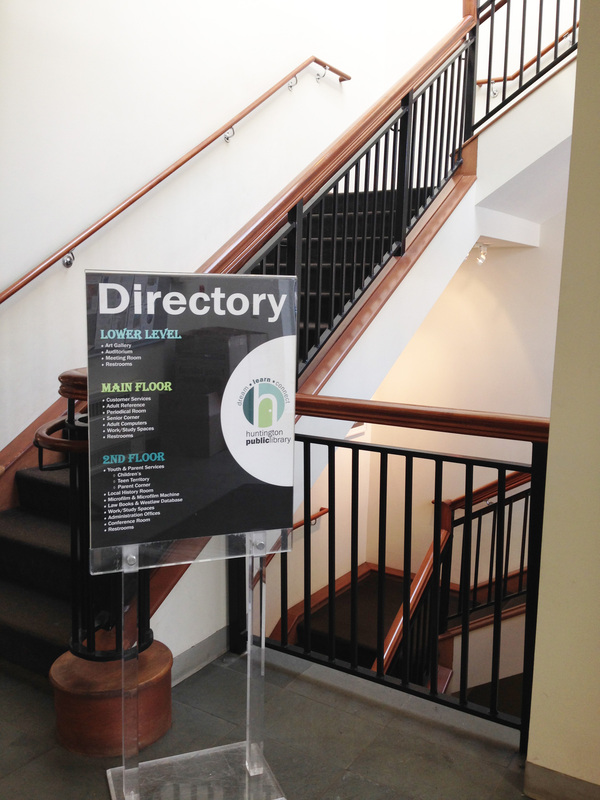 Set patrons off in the right direction with this simple directory solution.